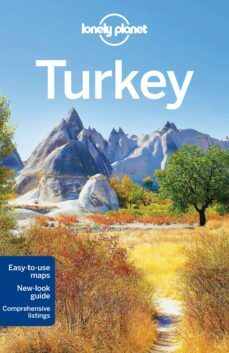 Lonely Planet will get you to the heart of TurkeyA richly historical land with some of the best cuisine you will ever taste, a variety of scenery from beaches to mountains, and the great city ofİstanbul. Inspirational images, 3D illustrations, city walks and recommendations from our expert authors.Planning features and top itineraries to help you plan the perfect trip.Local secrets and hidden travel gems that will make your trip unique.Plus TopkapıPalace floorplan. Coverage Includes: Planning chapters,İstanbul, Thrace, Marmara,İzmir, the North Aegean, Ephesus, Bodrum, the South Aegean, Western Anatolia, Antalya, the Turquoise Coast, Eastern Mediterranean, Ankara, Central Anatolia, Cappadocia, Black Sea Coast, Northeastern Anatolia, Southeastern Anatolia, Understand and Survival Guide.